Can you tell us a little bit about yourself and Arteïa? 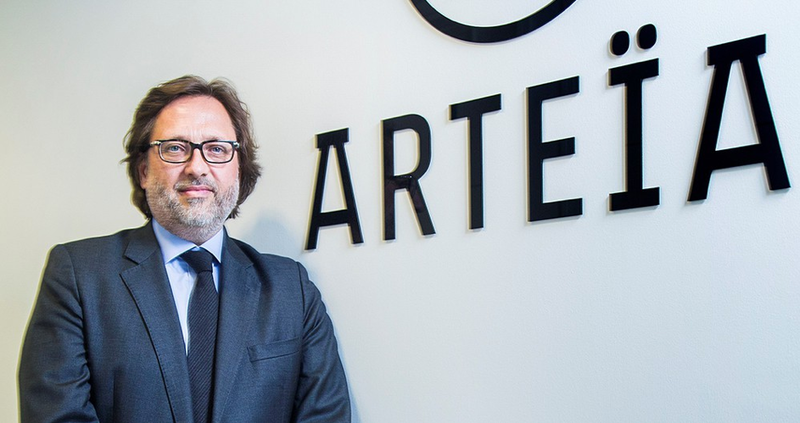 My name is Philippe Gellman and I am Arteïa’s CEO. I have been an entrepreneur for the past 30 years, creating successful businesses such as Bourse Direct, the first on-line broker listed in 1998 that I sold in 2004. I then managed a range of companies in different sectors (fashion, lifestyle, etc.). Aside from my working life, I am an art passionate and I have been a collector for the past 20 years. Five years ago, I became friend with Marek Zabicki who was running an IT company in Poland, which developed solutions for museums. We sympathized and nearly one year after, we created together a first software prototype for private collectors. That was the beginning of Arteïa. We brought two of the most important families of the European art ecosystem: the Taittinger and the Marian. Since then a team of 20 developers contributed to our platform on two main aspects: its security and its confidentiality. In October 2018, the first version of Arteïa’s platform was released after 2 and a half years of development. Why did you choose the ICO’s option for Arteïa’s funding and development? To start with, we chose a regulated private-equity round. Two years after the company creation, we are proud to have raised already 3 million euros in 3 fundraisings. The next step is now to create the tools to develop a market where Art collectors can interact directly. For this, an ICO was the natural mean as our goal is to federate a community (artists, collectors, etc) and develop a decentralized market place allowing this community to interact through a “smart contract” secured process. Besides, we want to solve the two big problems of the art sector: the fees, the absence of liquidity and efficiency. What is the roadmap and targets of Arteïa’s ICO? First of all, we worked several months on building our ICO project and finally decided to set up our operation in a regulated ecosystem. We then created a subsidiary of the company in Switzerland (the country from where our ICO will be run) where we brought all the IP of Arteïa. After our files have been registered by the FINMA and our token ARTK classified as a utility token enabling exchanges listing and liquidity provision, we are now pleased to reveal our ICO. What is the role of the ARTK token? The ARTK token allows its user to subscribe to the cataloging platform of Arteïa where collectors can showcase their art collection, trade, lend for exhibitions and create a universal provenance ledger. And it’s a “premiere”. When the TGE will end the ICO, you will be able to interact with collectors for trading and exchange art works on the same platform. We will need our token to be listed and we are proud to already have good leads. On the longer run, our goal is to become the marketplace where to buy and trade art work in crypto. Such a platform will help the digital world of token and crypto to connect with the physical one of art. It will generate traffic and then, value our token in proportion with our growing user base. What is your project after your ICO? After our fundraising, we will focus on how to make Arteïa a global and international ecosystem. This will mean: (1) expand our team of developers in Poland (2) use other technologies (such as AI) to improve the quality of our services and remain the best cataloging solution for the art world. To find out more about Arteïa and keep up to date with the news, please go to our website and sign up for Telegram.